This report is based on the U.S. Census Bureau’s American Community Survey (ACS) data collected from 2012-2016 and provides both national and state statistics, including District of Columbia and Puerto Rico. 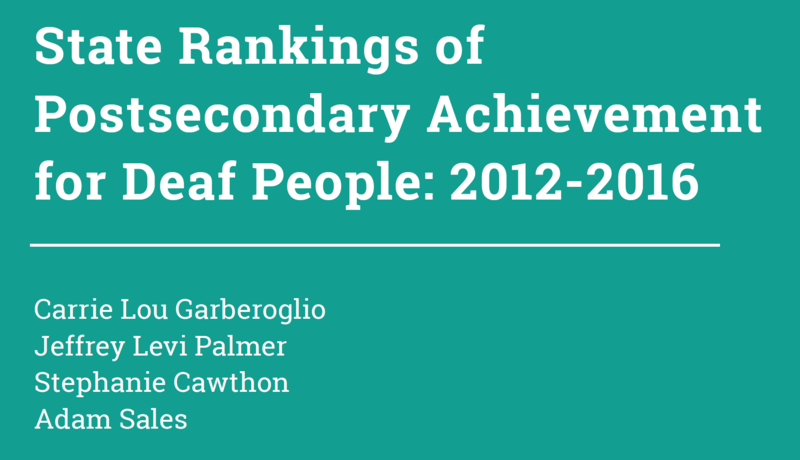 Data compares deaf and hearing individuals' high school and bachelor-level attainment, as well as employment outcomes. State-by-state data is provided in ranking order on outcome gaps (from smallest to largest) between deaf and hearing individuals. Read the full publication. For more in-depth information on each state's data, please visit this page.